When designing a permanent sign there are a number of ways to get your message looking right. Years ago, sign lettering and graphics were painted or stencilled often using a painstaking manual process. Today, our company has access to tools and in-house facilities that will leave your sign looking both modern and spectacular. Our cutting-edge processes use the very best in graphical technology for a superior looking sign. 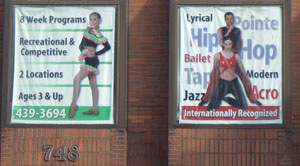 Many signs today use vinyl letters and graphics to provide the content of their messages. The process of applying vinyl to signs uses computer graphics and specialized machinery to cut the vinyl with sharp precision. Vinyl weathers well, better than many paints, and allow for signage with unique fonts and intricate graphics. It’s also great for any size of sign, from smaller interior signage to large billboard signs! Sign graphic technology like the photography industry, has moved to the digital world. 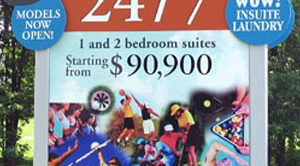 Digital imaging allows for high resolution images to be applied directly to large signs. This technology removes the limitations of older vector-based images and provides some of the best looking graphics that can be applied to signs today. Davies Signs now offers digital imaging on signs of all sizes and types and the results have been spectacular! Please visit the Davies Screen Printing website for details on products & pricing.